Heading Tags: This tag represents the document header. It is said to be a good practice if every document starts with Heading. Heading tags ranges from H1 to H6 i.e. six different levels where H1 is max size and H6 is the min size. Paragraph Tag: This<p> tag let your Html document text to structure into different paragraphs. This tag is a non-empty tag thus, <p> is for opening and </p> for closing tag. Line Break Tag: This tag is an empty tag which allows programmer to break the line immediately after its placement. Anything that follows it starts from the new line. 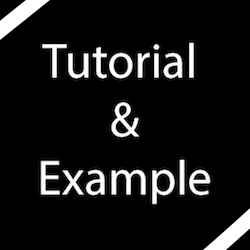 You are reading Tutorial on TutorialandExample.com Website Thanks. Center Tag: This tag is used to put any content on the center of the page or any table cell. TutorialandExample.comPRESERVE FORMATTING: As the name suggest it allows your text to follow exact format of how it is written i.e. it preserve your text on which format it is written. Syntax is <pre>….</pre>. Non-breaking Spaces: It is used when we don’t want browser to split the text across two lines. Its syntax is &nbsp.